With the ever-evolving dance market bringing up new artists, labels and brands, Size Records seeks to stay ahead of curve in 2017 by signing tracks from up-and-coming producers. That is why Steve Angello enrolled to his label Anderblast, two young promising talents, who have certainly been making their presence felt over the past years. 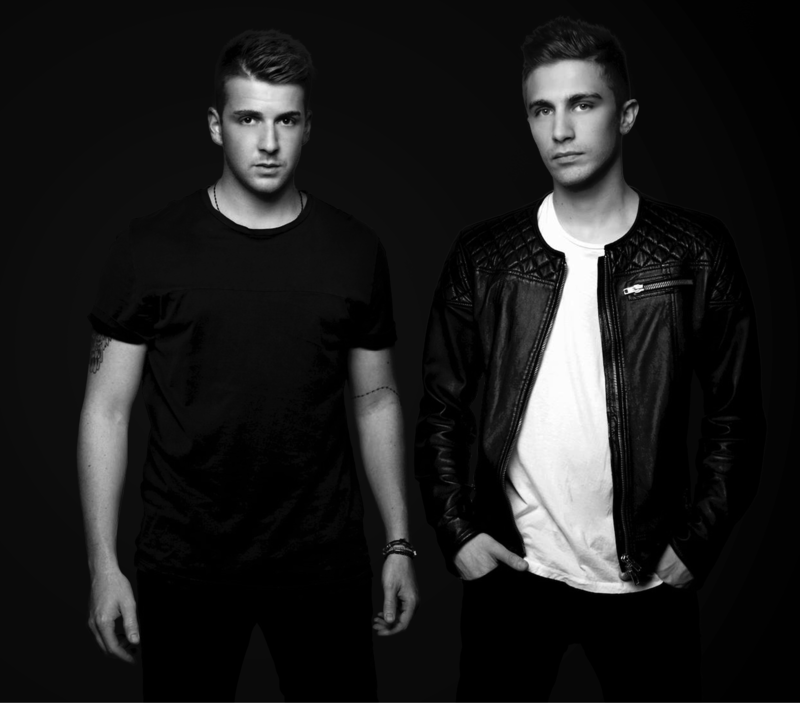 The Italian duo consisting of Phill Gioudetti and Ricky Lugli has released tracks on various record labels like Deal, Malavida and Flamingo, receiving support from names like David Guetta, Fedde le Grand, Afrojack, Dimitri Vegas & Like Mike and Thomas Gold just to name a few. This year Anderblast has many projects under its belt, which both of them anticipating to announce all of them. Among these releases, two new solo singles, maybe more collabs with artists like Havoc & Lawn, Dark Drake (they made together “Elements”) and Rasalifers. Anderblast hope that 2017 will continue in the same way it started, with a lot of satisfaction, claiming to Viralbpm that the most important thing for them is to make music, which conveys emotions through it. V1: Tell us about Anderblast, how did the two of you meet and what’s the story behind the name? V2: Who are some of your musical heroes and how have they influenced each one you and your music? Anderblast: There are so many great names that have inspired our music. Among all surely the Swedish House Mafia, David Guetta, Erick Morillo, but the list is long. Surely Steve Angello and Axwell are two very important points of reference for us, for their productions, but also for the DJ sets that are always very engaging and an example for us. V3: Recently you tweeted that you’re honored to be part of Size Rerords! Congratulations for fulfilling one of your dreams! How do you feel about this success? Anderblast: The release on Size Records is the most important goal of our career. It is something indescribable get to be part of this family. It is one of the labels that we most admire and we follow it since we began this work. V4: So far we know that your upcoming track on Steve Angello’s prestigious label is a collab with Havoc & Lawn, which is titled ‘Genesi’. Could you share with us some more information, like the genre and preview/release date? Anderblast: For the release date it is still early. Work with Havoc & Lawn was very fun and challenging. We have great respect for these guys, they have talent. We have combined our two styles and ways of working. The result was appreciated by Size. We think that this tune is completely different from all our previous tracks. A new world for us, we like to try always new and innovative sounds. V5: Your latest release on Gregor Salto’s imprint Moganga, titled ‘Mohave’, follows ‘Theory’ on Noise Control Recordings, which was premiered by Nicky Romero. How have they been going down in your sets? Any particular difficulties in producing them? Anderblast: “Theory” was a good start of year for us. It has received support from big names of the EDM scene as David Guetta, Nicky Romero, Dannic, Dada Life & many others. It also joined the standings on Beatport and it is also among the “most played tracks” on 1001 Tracklist. In our sets it never fails. “Mohave” was another great achievement for us. Get out on Gregor Salto’s label, who we admire a lot, it’s a great honor. We had fun in the studio playing with percussion and to create a melodic breakdown with Tribal/African Indian references. In our Set we enjoy doing mash-up, even with our tracks, trying to make them more engaging. We like to produce music that we play live in our set. V6: Who in your opinion are some of the best up-and-coming producers at the moment? With whom would you like to collaborate? Anderblast: There are many young and talented producers at the time. Among all Kungs, Corey James, Will K. Here in Italy Havoc & Lawn, Dumbers, FunkyBeat, Maximals, Dirty Ducks, Sunstars are showing so much talent. However, we would like to cooperate in the future with Corey James or Will K because we love their sound. V7: How hard is it to keep your radio show “Euphoric” updated and fresh? Which tracks/style do you prefer playing and why? Anderblast: For the “Euphoric RadioShow” we select new music every week. We want to have a quality radio show. To our delight, we always get a lot of promo, from major labels, or by young producer. We always listen to everything. Moreover, we try to give attention to lesser-known producers and we range different genres, even if the last period we prefer to create a club atmosphere/Tech-house within our own show. However, we do not foreclose anything.